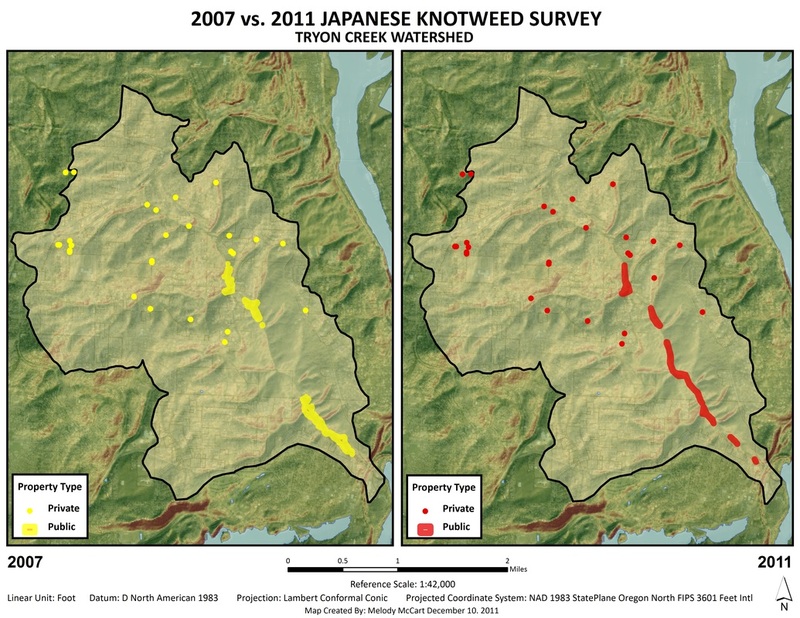 Melody McCart worked with Tryon Creek Watershed Council to assess the status of Japanese Knotweed (invasive species) on public lands within the watershed. 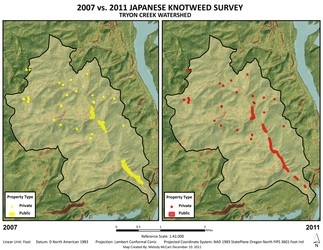 Additionally, an analysis was conducted to determine the areas mostly likely to contain Japanese Knotweed that have not been surveyed yet. 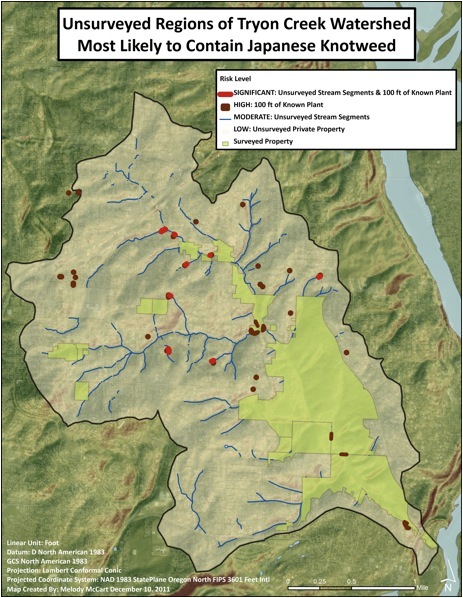 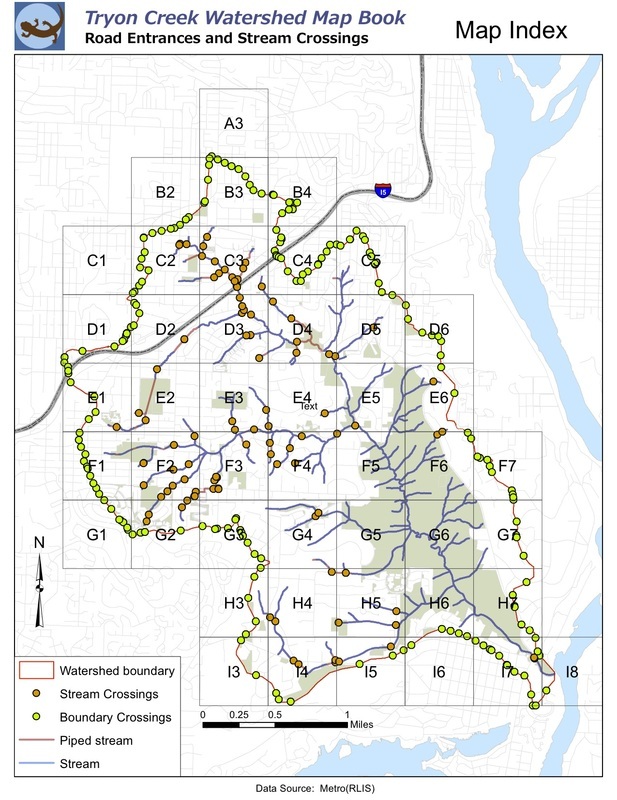 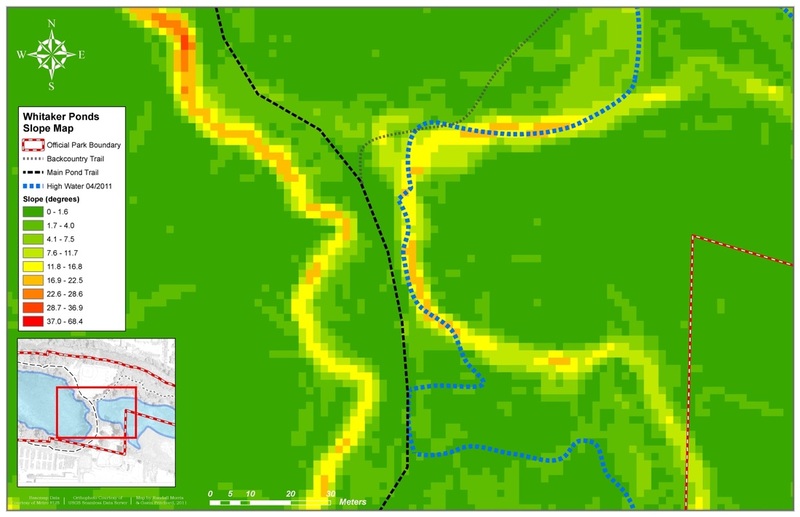 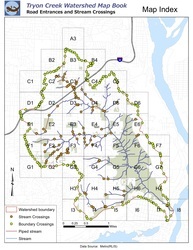 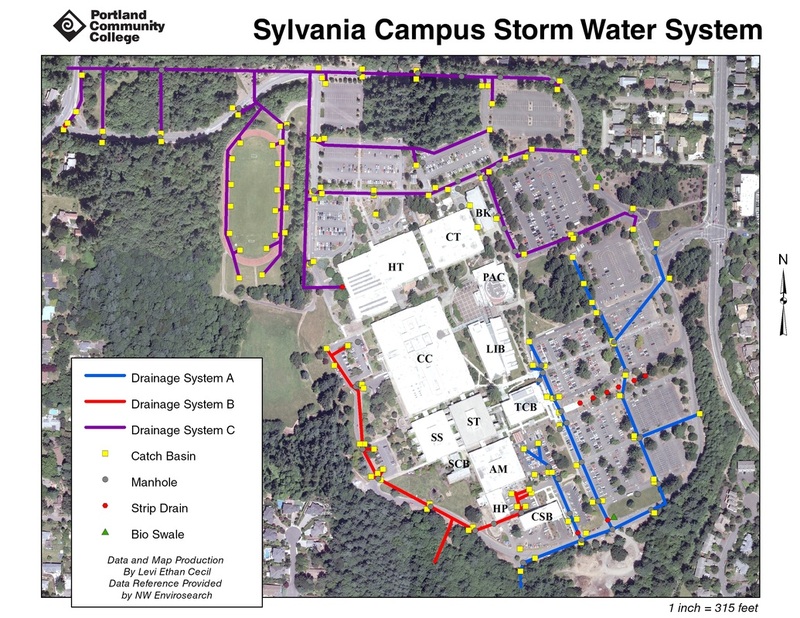 Levi Cecil decided to take on the task of creating a watershed map for PCC Sylvania's campus based on the network of drainage pipes and stormwater outfalls using a hydrology toolset. 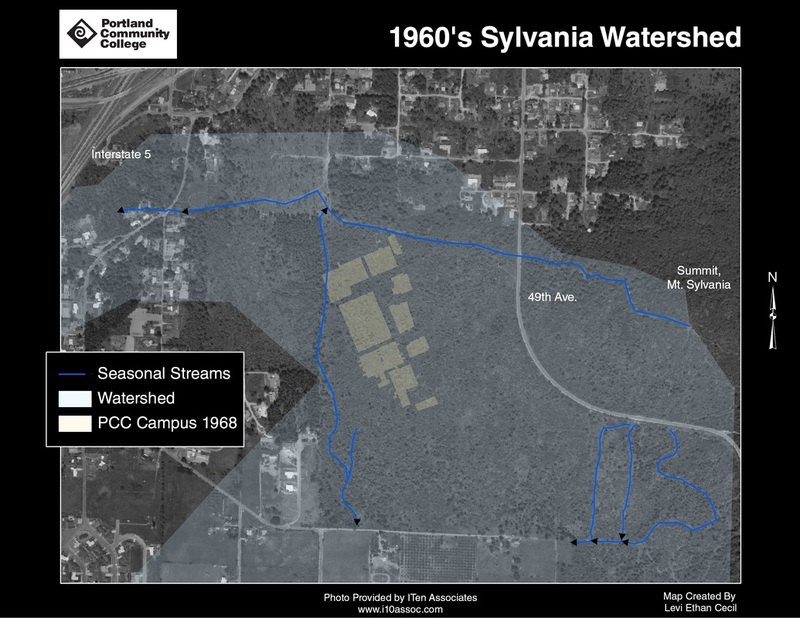 A map was also created to show the Watershed in the 1960's prior to the campus being built. 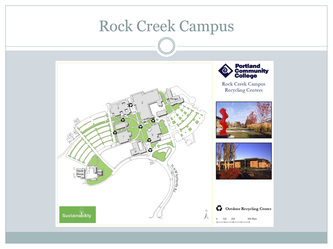 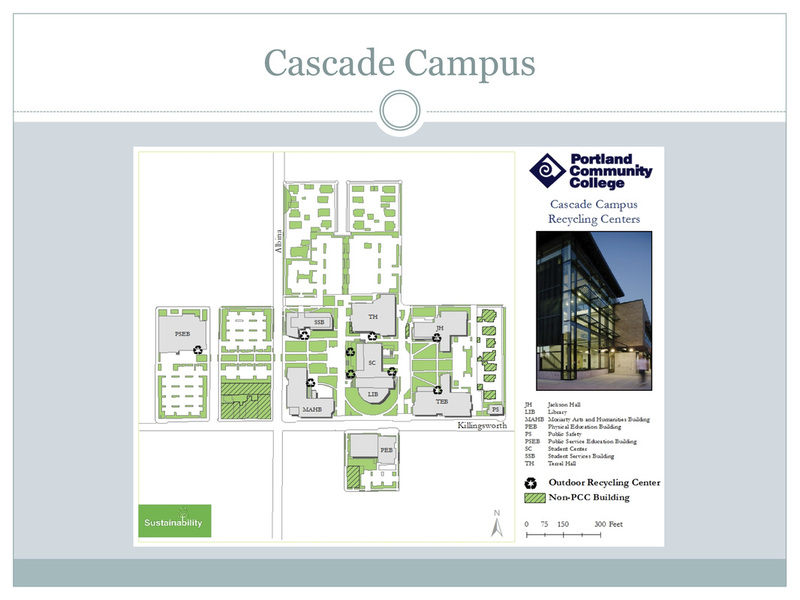 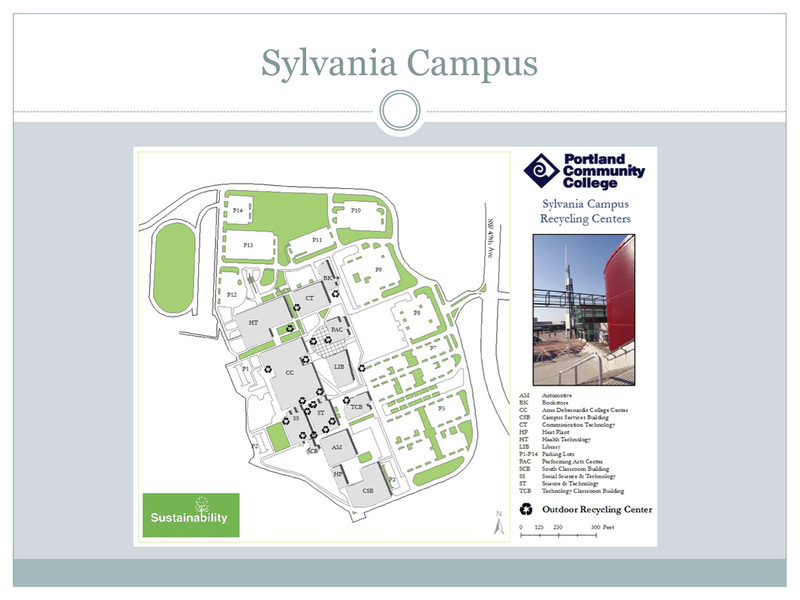 As part of The Sustainability and Recycling Program with PCC Sustainability, Jodi Kanasagor collected data on the location of the their recycling centers and created maps for Cascade, Rock Creek, and Sylvania campuses. 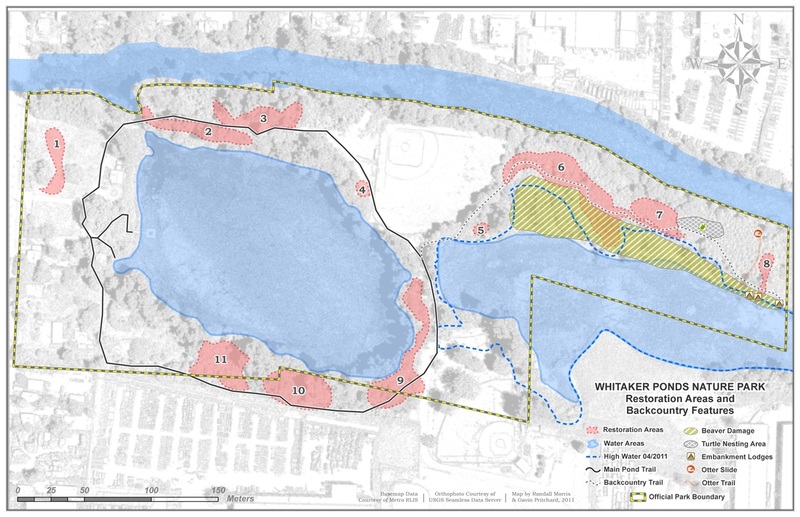 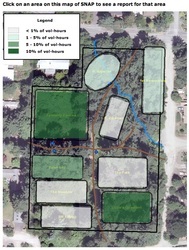 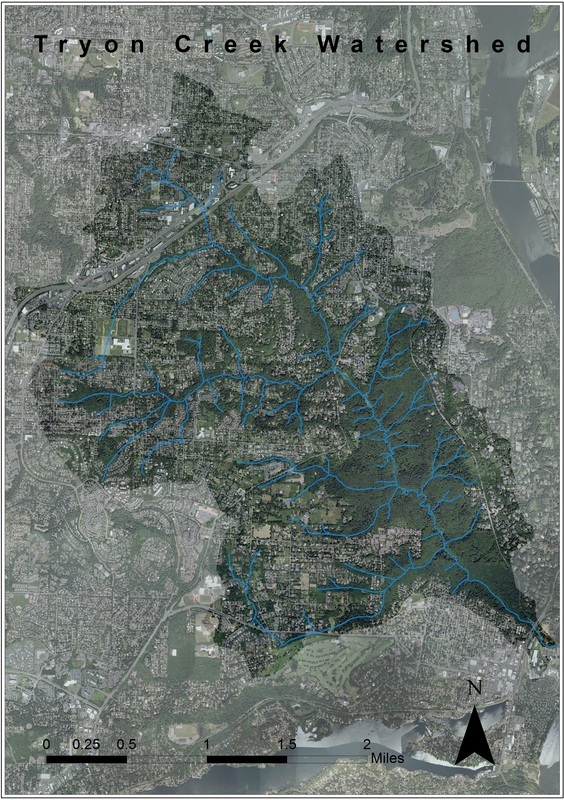 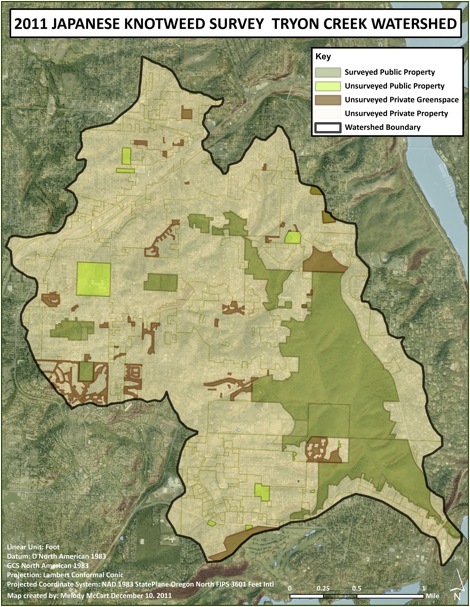 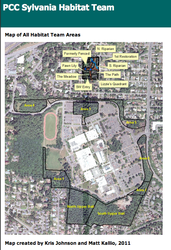 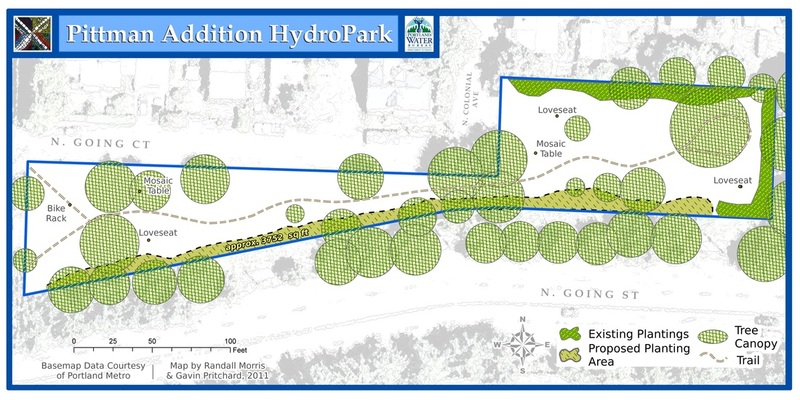 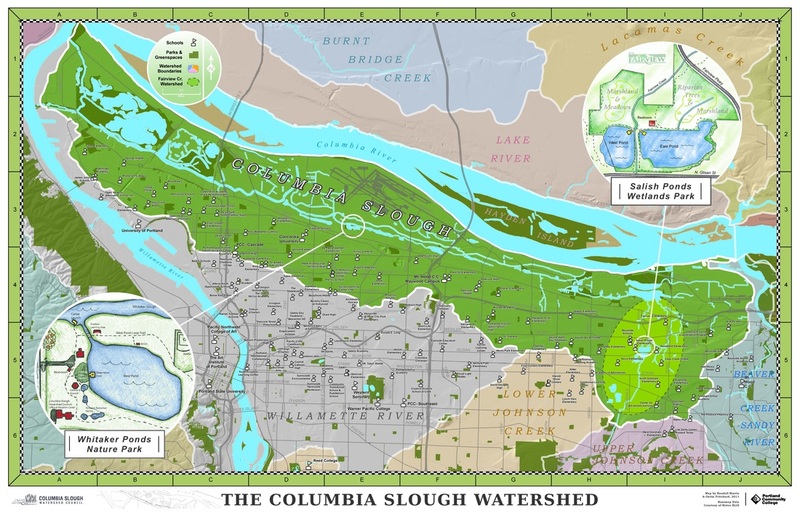 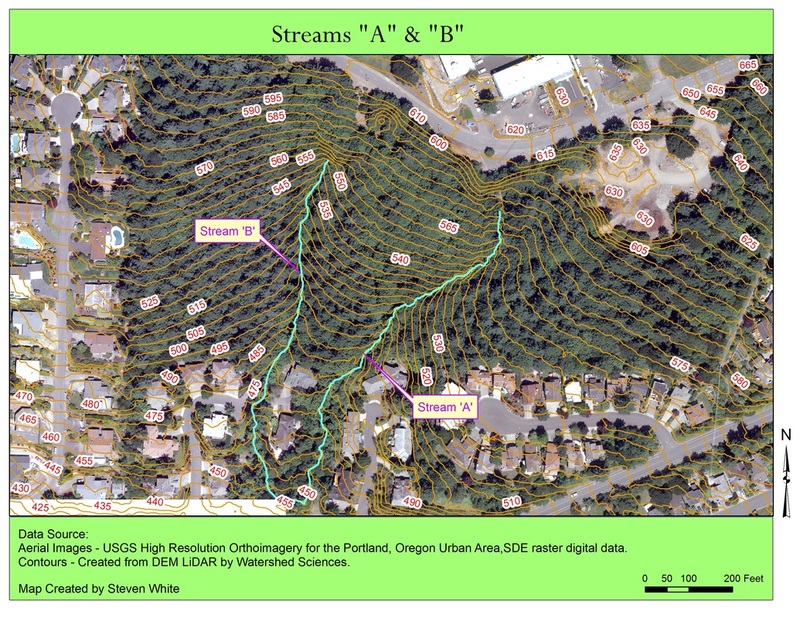 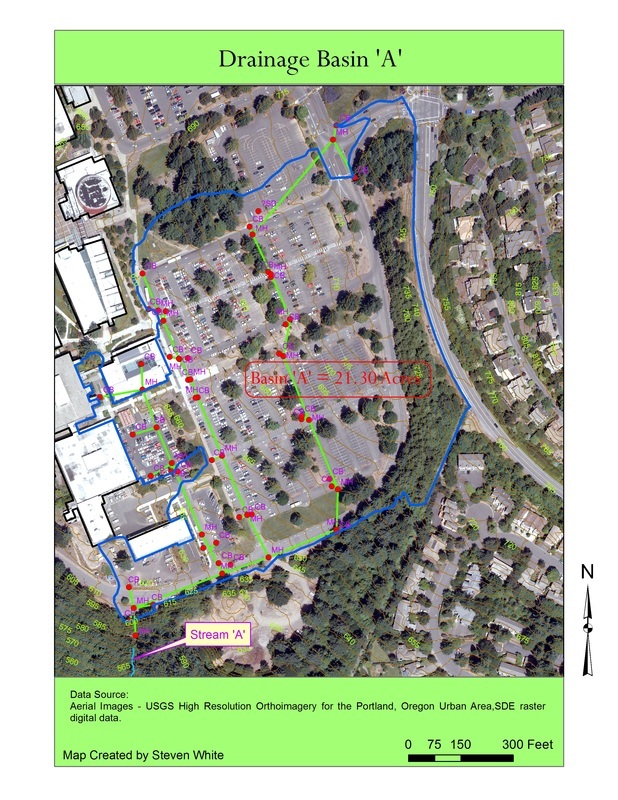 In partnership with Columbia Slough Watershed Council, GIS students created maps with a cartographic focus to provide the council with site maps, portland area watershed maps, and a slope map of their property. 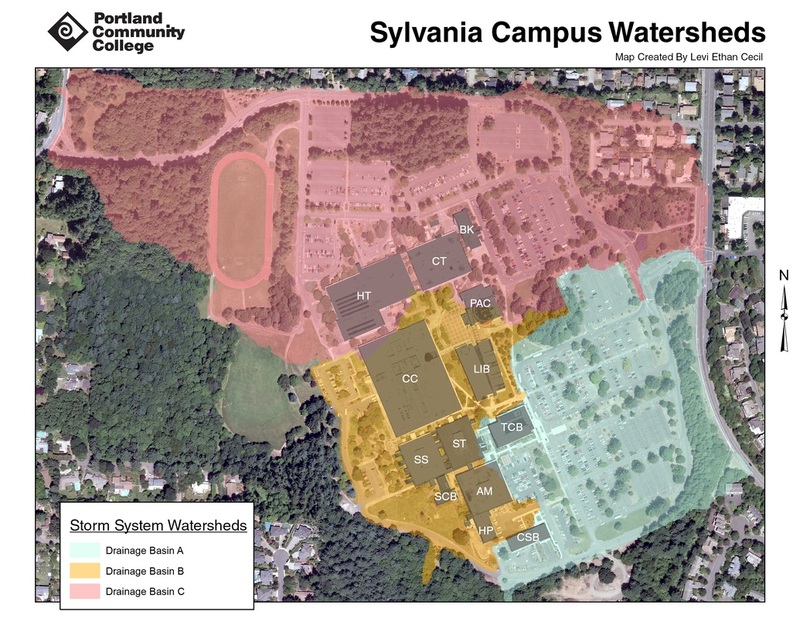 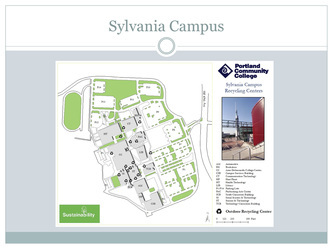 In accordance with the voter approved bond of 2008, improvements to the stormwater system at PCC's Sylvania campus are included among the changes and upgrades planned for PCC campuses over the next several years. 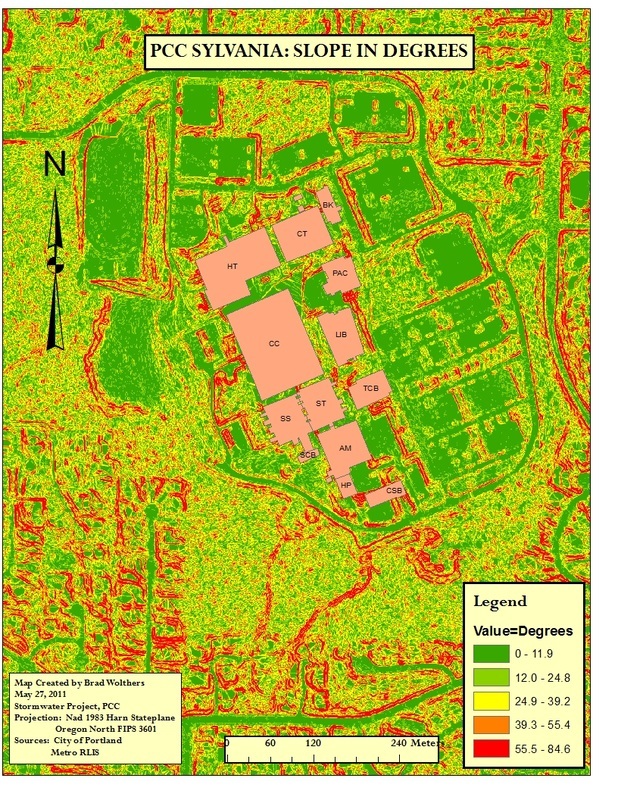 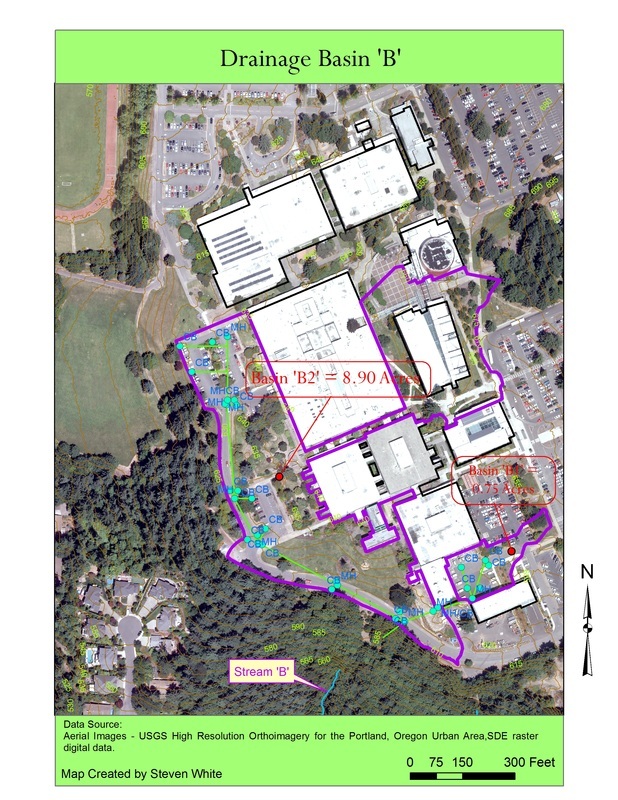 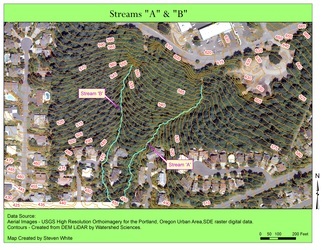 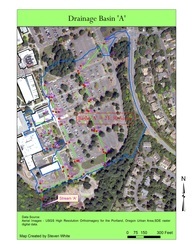 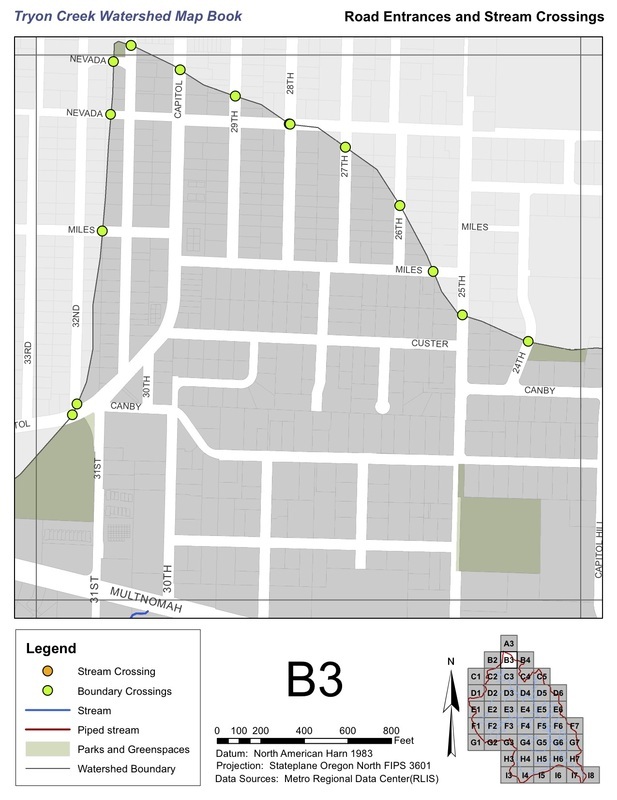 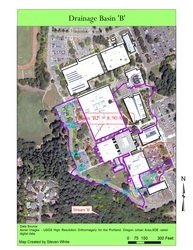 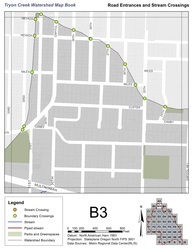 This project included GPS data collection, investigation of campus outfalls, and delineating drainage areas on campus. 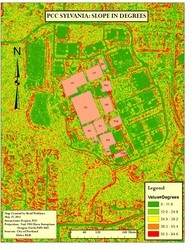 From this a series of maps were produced: Current stormwater drainage; slope map of the campus; and Pervious and impervious areas. 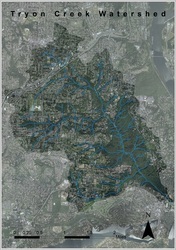 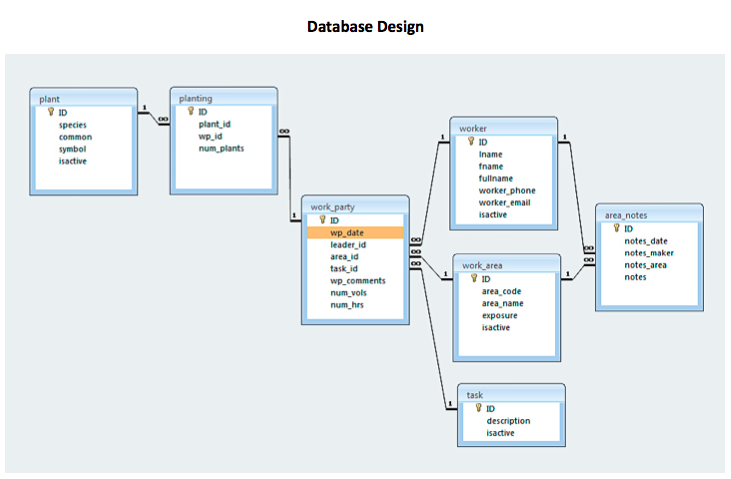 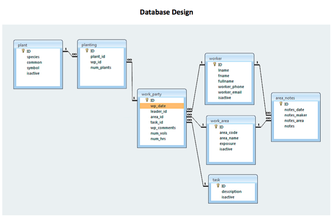 A geodatabase of all the GIS files was also created for use in future classes that continue to work on this topic. 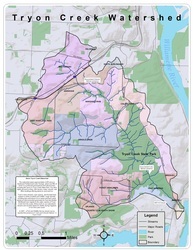 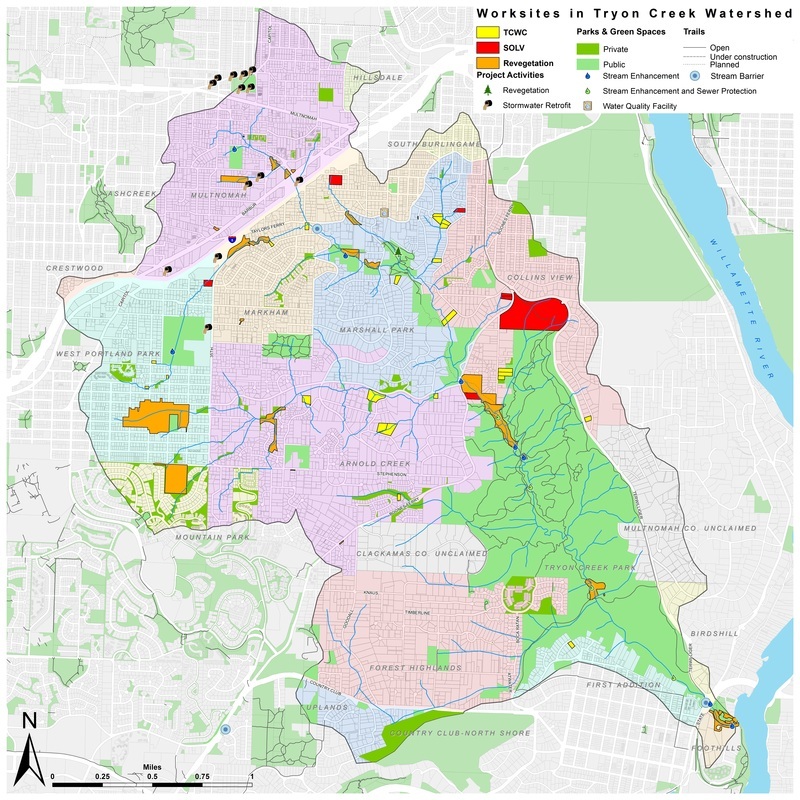 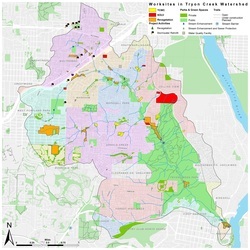 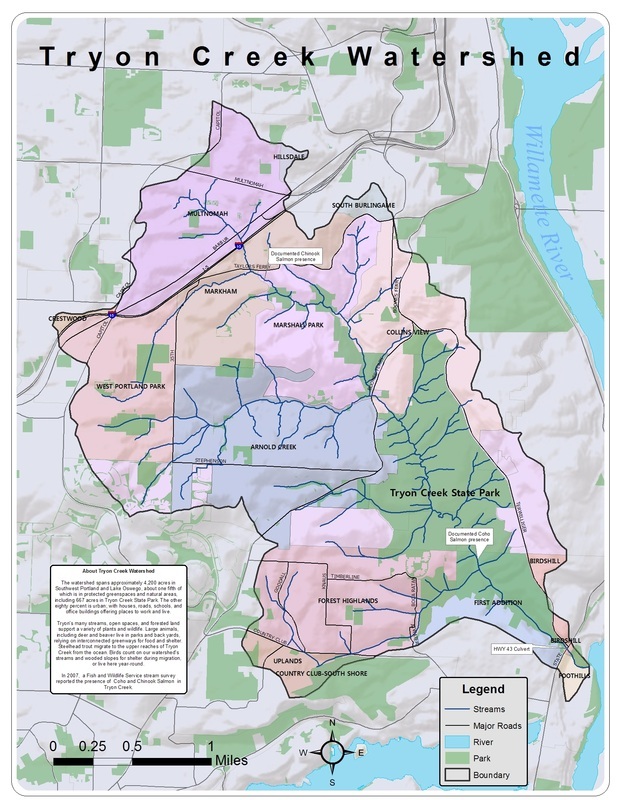 The Tryon Creek Watershed Council (TCWC) is a group of individuals and organizations working to improve both the health of the watershed and creek itself. This project was focused on a number of mapping projects that would help TCWC with their mission. 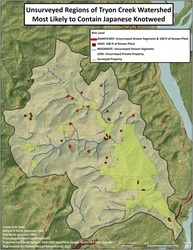 The maps that were created include: Restoration work in the watershed; Salmon distribution; and Road & watershed intersections. The PCC Habitat Team has been working on habitat restoration projects around the Sylvania campus for many years, under the leadership of April Ann Fong of the Biology Department. 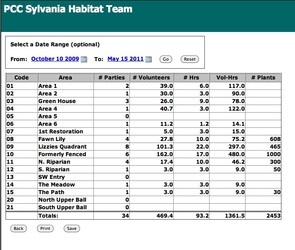 In particular, they have brought about a major improvement in the Sylvania Natural Area Park (SNAP), removing invasive species and planting native plants. 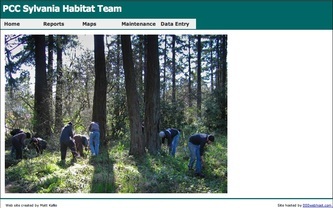 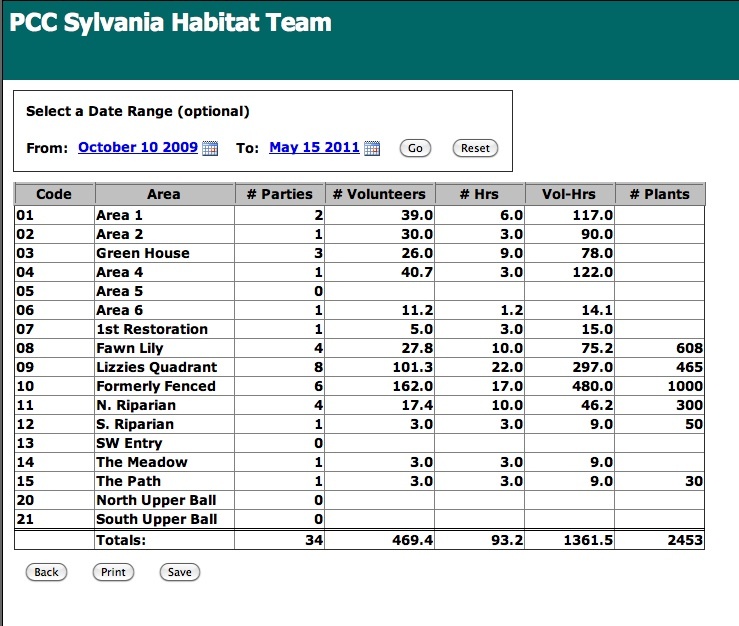 Over the winter and spring terms 2011, students worked with the habitat team to create maps and a database to track their restoration efforts. 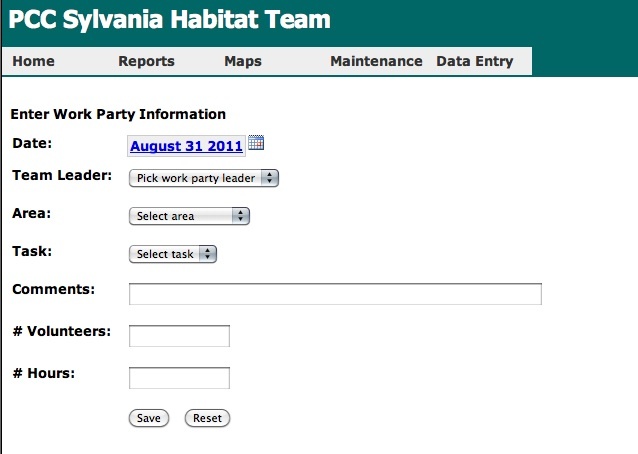 These tools will help the team consistently record work parties and plantings, maintain data that is tied to geographical areas, and generate reports for purposes of analysis, planning, and grant applications.